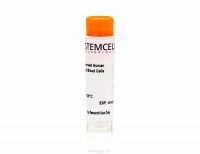 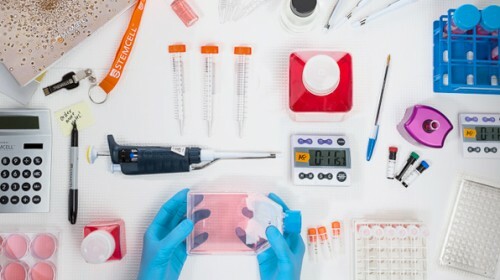 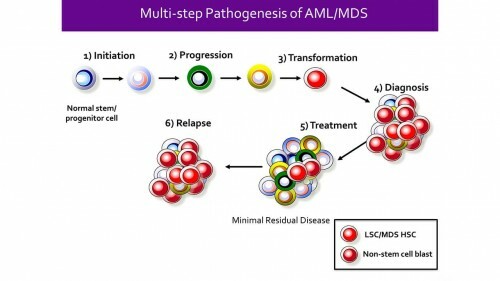 Cells were obtained using Institutional Review Board (IRB)-approved consent forms and protocols. 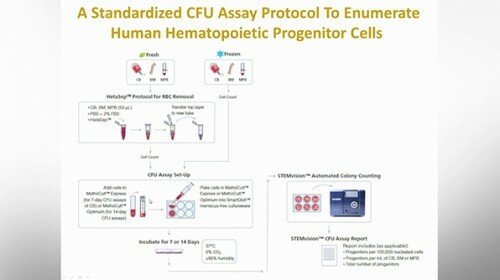 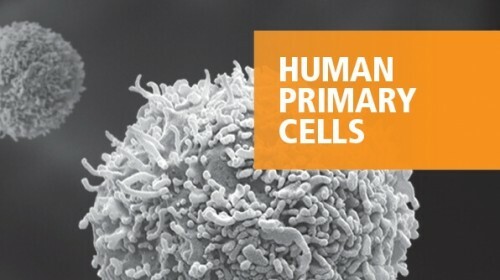 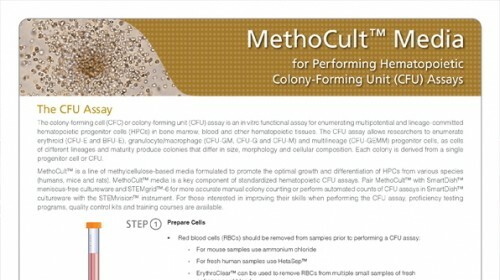 Cryopreserved G-CSF Mobilized Human Peripheral Blood CD34+ Cells (Catalog #70060) were thawed, plated at a concentration of 5 x 10^2 viable cells/dish and cultured in MethoCult™ Optimum Medium (Catalog #04034) for 14 days. 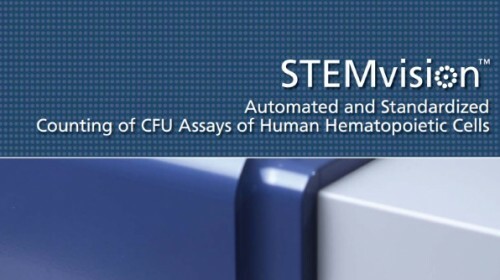 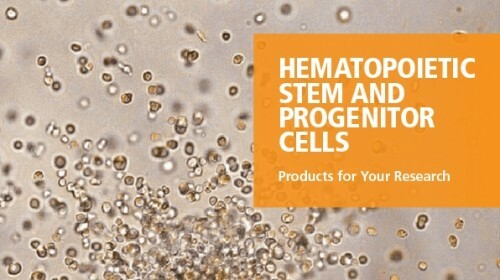 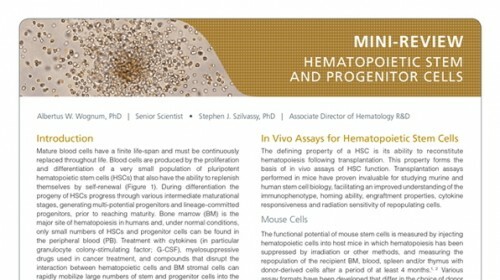 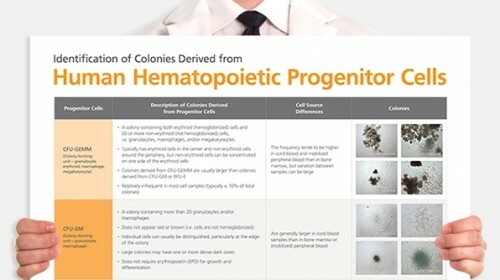 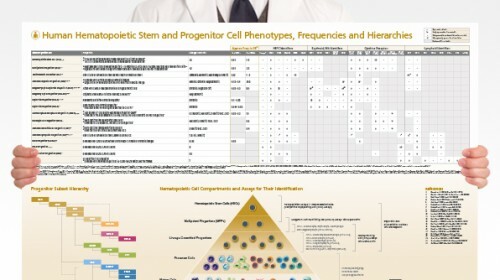 Shown are colonies produced by hematopoietic progenitor cells in the sample, imaged with STEMvision™.